We are almost to the end of our petals... and I'm almost to the end of my 1st Daisy Program. It's bittersweet. Part of me is sad, because I'll miss them. Part of me is overjoyed their parents are willing and able to step up and continue on with these amazing girls. 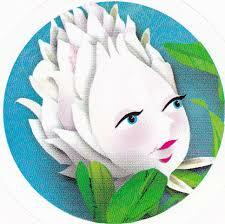 In either case, we have 3 petals left... this month is Clover - Use Resources Wisely. Activity 2: Think of 3 ways to use resources wisely during meetings and promise to do them. Recycle Capri sun drink containers through TerraCycle (They have other programs, too). Use reusable water bottles rather than bringing drinks each time. Buy a bag of animal cookies rather than individual packages and then recycle the bag. Silly: Resist glitter parties to use up the whole tube of glitter!! The petal says grab magazines and make a collage. That would be fine, but you know I like to change things... so... and Cookie Season right now, so the girls got a bonus craft at this meeting. Two different ideas or feel free to do both, as we did. I was given a TON of old Volunteer CDs from our Council. They have forms and training information and boring stuff on them. I had used some for making CD tops way back when and I still have a ton left over... So... I found an idea for scratch art. 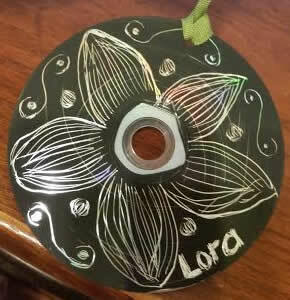 I painted the CDs before the meeting... many reasons, but we'll say "for the sake of time", instead of "Lora was horrified at the thought of 10 little girls with black acrylic paint holding CDs and painting the back of them". YIKES! Anyway... I ended up giving the girls metal spoons to scratch their CDs. I had enough CDs painted so each girl could make two. I used a Crop a Dile to punch a hole through the CD, though you could just thread your ribbon through the center for hanging. I just didn't want to do that. I would caution the girls not to try to get too intricate of a design. Stick to simple shapes. Okay... again... I like to prep to make it easy on people. Namely, me. So, before the meeting, I cut all the boxes apart using the front and back of the boxes for the front and back covers. The side of the box with the 5 Skills I saved and trimmed down for bookmarks. I also cut the paper for the interior pages. I used a binder clip to keep each book together and used the Crop a Dile to punch holes through the entire thickness. I put about 10 sheets of paper between the covers. 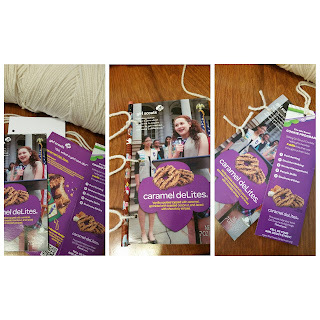 At the meeting, I demonstrated to the girls at how I used almost the whole box as 2 "upcycled" projects. There wasn't much left to put into the recycling box after we were done. 2. Thread a piece of yarn through each hole, but don't tie it. 4. Tie the yarn into a know around the pencil. This gives you a loose loops, so the book will lie flat when you open it. 5. Once all the yarn loops are tied, remove the pencil. Each girl was given a bookmark and yarn for this, too. Pretty simple... tie some yarn through the hole and use as a bookmark. Now, you could doll up the top with gems or such, but we kept it simple. This is just to spark the idea and hopefully they'll think of other things they can do at home, instead of just tossing the box. I hope they at least recycle the box.